These Colossal Pistachios are Huge. Only the largest are chosen, then roasted in small batches and lightly salted to bring out their best flavor. The best Snacking imaginable! Our Natural California grown Colossal Pistachios are toasted to perfection. I totally enjoyed the products supplied by Superior Nut. The Colossal nuts were most tasty and the entire quantity supplied were of the highest quality. 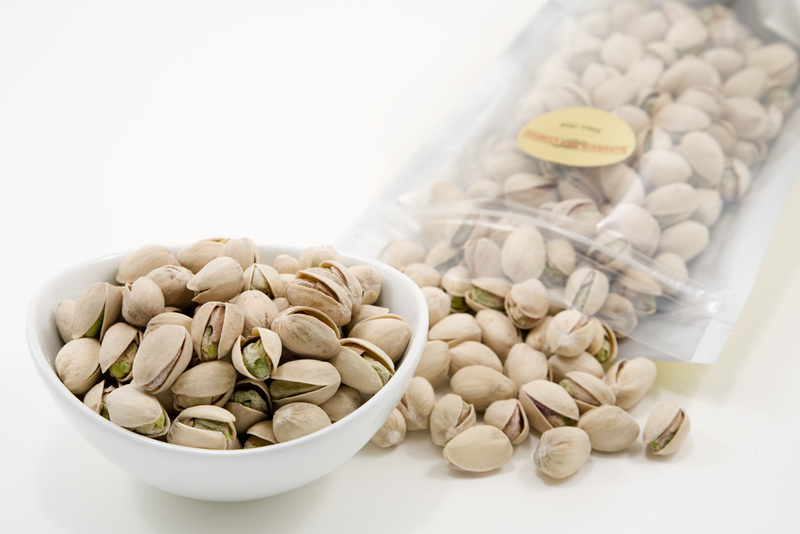 I've loved pistachios for a long time, and Nuts in Bulk is the quick and easy way to order the best. All the men in my family love pistachios---young and old. They were thrilled with such a tasty stocking stuffer! My order was perfect but I received a package not intended for me and reported it to you. Received a prepaid UPS label to return it, which I did. Think I should have received a free . gift for my honesty. Helene Narbus . This item was sent to my Dad for Father's Day because he lives in a different state. I thought he would rather have a bag of pistachios then flowers. He was very impressed by them especially their size! He felt like they were each hand picked. He stated that they were the best pistachios he ever ate! ProsThe price, quality and quick shipment! A favorite snack in our house. These nuts are very fresh and tasty, and larger than the average supermarket pistachios. ProsFreshness, not too heavily salted. ConsMy kids eat them so quickly I rarely get more than a few. Roasted, salted Piostachios are addictive in the best sense. But too often they have been sitting around in somone's warehouse, turning stale and soft. Losing that sbap and slight crunch that make them so enjoyable. The Pistachios from Nuts in Bulk were wonderfully large, easy to pry open, lightly salted, and as fresh as they could be. I can hardly wait to place my next order. ConsAlways a few nuts that won' open. This brand meets all my expectations! In the past I have always favored Pistachios from other countries,also more expensive. No more. I will immediately go on line for a new order. Highly recommend.